This is now my second purchase from Cable Chick. I can't speak highly enough of the service - Order today and delivered to my door the next. Add to that the nice touches of a discount card and a couple of Minties PLUS unbeatable prices, why would you bother leaving the house when from the comfort of your home, Cable Chick beats all others! 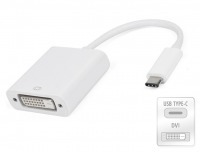 DVI Converter products for the best quality AV Accessories at the lowest prices every day!